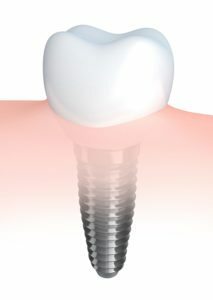 If you’ve lost a biological permanent tooth due to injury or tooth decay, there are a number of compelling reasons to seek dental implants in Lexington, SC. From an aesthetic or cosmetic perspective, the effects of a missing tooth can be dramatic, but addressing other outcomes of tooth loss is just as important, if not more so. Dental implants are titanium fixtures or screws that are surgically positioned into the jawbone beneath your gums. Once integrated, they allow your dentist to attach replacement teeth onto them. Dental implants are the only devices that replicate the entire structure of the missing tooth. The jaw bone grows and fuses directly with dental implants, becoming a permanent part of the mouth and replacing the missing root. Dental implants are designed to be shaped like our own tooth roots and they replace our natural teeth closer than any other technology we have. Why are Dental Implants Important to Consider? Teeth are essential to a person’s ability to chew, and even a single lost tooth can cause a cascade to dental destruction. Coupled with losing chewing efficiency, the opposing tooth suddenly becomes non-functional as it has nothing to chew against. This will invite drifting of the surrounding teeth. The roots of our teeth help promote stability in jaw bone density and volume. When there are no roots in place, the jawbone in the area will begin to atrophy. If the root is never replaced, that atrophy can progress to significant levels and can put the adjacent teeth in jeopardy. Teeth next to and opposing the lost tooth space will begin to shift and drift causing a misalignment in a person’s bite that leads to hygiene challenges and periodontal disease. After tooth loss, you should begin the process of planning its replacement as soon as possible before jawbone erosion can occur. Timing is particularly important because you must have enough remaining jawbone to completely enclose the dental implant. Minimal impact on surrounding teeth: Dental implants reduce your chances of further tooth loss because they stabilize the jaw and require no support from surrounding teeth. Compare this to dental bridges, which need crowns on adjacent teeth to hold the pontic (artificial crown) in place. The process of placing those crowns can weaken those adjoining teeth. Better nutrition: Dental implants can withstand stronger chewing forces than bridges or dentures can, which means that patients are able to enjoy a more varied diet full of nutritious fresh fruits, nuts and vegetables. Easier care: Because dental implants are structurally similar to natural teeth, the necessary maintenance is essentially the same, too. You don’t need to make any adjustments to your normal toothbrushing and flossing techniques with dental implants. Jawbone preservation: With no tooth root or implant in place the jawbone will certainly erode and weaken becoming a defect. It is also unsightly. Stability: Having a full compliment of teeth is more stable and predictable. Less teeth will fracture over your lifetime! If you favor one chewing side because it is full and complete and you don’t use a weaker side then you are inviting the premature wearing out of your favorite side! The first phase involves planning and oral surgery to place the dental implants. This phase will require a few appointments with your Lexington, SC oral surgeon to gather the information needed for placement. Keep in mind that a bone graft may be required for patients with significant bone loss. A bone graft’s purpose is to provide supplemental bone, allowing the patient to become a candidate for dental implants, but this does extend the treatment time. Dental implants in Lexington, SC are inserted into the jaw. They are made of titanium, a highly bio-compatible material, which allows the bone to create a bond with little chance of rejection . This process, typically 4-6 months, provides a level of stability and durability that is unmatched by other tooth replacement treatments. The crown or visible portion of the tooth is recreated with dental porcelain, complete with anatomically-correct grooves and cusps. It is also perfectly shaded to match the color of the adjacent teeth and to exhibit the natural translucency of real enamel. As with any oral surgery, dental implant surgery placement does require some recovery time. Don’t plan any strenuous activities for the first few days following the procedure. Patients generally can enjoy a light meal in the evening after the implants are placed, consisting of soft foods. Surprisingly, most patients report minimal to no pain following implant placement! Once restored with your new crown, you will brush and floss your implant just like you would any other tooth.This helps to minimize the presence of oral bacteria that can damage the gums and the underlying bone, potentially compromising the dental implant. Be sure to get your needed dental care, exams and professional cleanings every six months as recommended. Let your Lexington, SC dentist and dental hygienist know that you have a dental implant, as the tools and techniques used in the cleaning may need to be changed. Request an appointment with dentists Drs. Smith and Robinson, DMD to see if you’re a good candidate for dental implants in Lexington, SC.